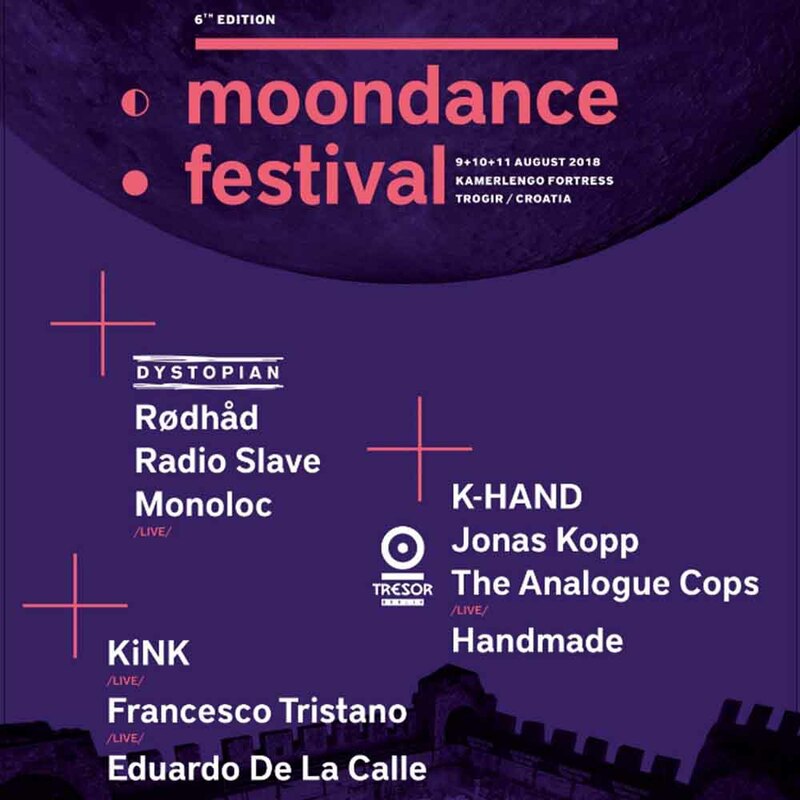 Rødhåd is amongst the names confirmed for Moondance, a techno festival set in an historic Croatian castle this summer, adding another reason to head for the Balkans in the coming months. Now in its sixth edition, the event will run from 9th to 11th August, and takes place at the Kamerlengo Fortress, a 15th Century structure sitting on the Adriatic coast at Trogir, a small island city around 5KM from Split. The town was recently ranked amongst the most stunning settlements of its kind by National Geographic. Tresor, the decade-spanning and genre-defining Berlin club we recently charted the history of, and Dystopian— the label run by Rødhåd, who we caught up with in December following his debut album— are amongst the hosts for 2018's instalment. Unsurprisingly, then, the line-up centres on heavyweights from the techno underground. Radio Slave, KiNK, Jonas Kopp, Monoloc, K-HAND, The Analogue Cops, Handmade, Francesco Tristano and Eduardo De La Calle are amongst the other artists confirmed. Tickets are priced at €51, and available through the official Moondance festival website. Meanwhile, here's the video from last year.